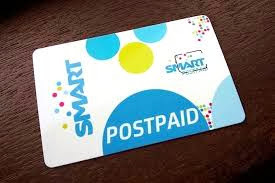 Having a Smart Postpaid plan for 14 years now has its many advantages. First, I don't have to worry about going out anytime of the day to load. Second, I get to have a phone for free every two years. Most importantly, my friends and loved ones get to contact me even if we've lost communication for years. This is what happened with my friend, Dothie. Dothie and I last saw each other about 10 years ago. We lost communication as she changes phones twice a year (or more) and I became busy as a mom, blogger, events planner and of course wife (kunyari!). Sender: Hi! Are you Joy Alberto? Me: Well, I used to be because I now go by the name Joy Mendiola. Who's this please? Sender: I thought I saw you in a Yes and OK magazine with a Nesvita advertisement of 10 Most Beautiful. Me: Oh, yeah I'm beautiful (lol). Who's this please? Sender: It's great that you haven't changed number. I just had to try if you're still using the same. Me: Ok, so who's this please? The rest they say is history. Dothie and I now get to go on a date every time our schedules meet. You see, connecting is easy with Smart Post Paid Plan. Dothie even brought Yes Magazine where she saw me.